In my own humble opinion there are a number of different types of comic book fans around today. Some are obtuse -- and always complain about their purchases. Whilst some others are humble -- and always find something nice to say. Thank God my pals, Arron and Matt, fall into this latter category, huh? Here, check out this conversation I had with them only the other day, whilst categorizing monkey poo in order of smell. 1) What are your roles in www.comicosity.com, Matt and Aaron? And how did this venture come about? AARON: I am Editor-in-Chief / Owner of Comicosity.com. It came about in January 2012, as an outlet to get my thoughts about the comic industry out there. Comic coverage is an absolute riot, and I figured it was a good time to start up a site and see where it went. MATT: I joined Aaron as Senior Editor / Co-owner of the site late in 2012, after some months of writing reviews and a semi-regular column for him. Comicosity is, more than anything, a group of really fun people getting together to enjoy comics and share that enthusiasm with our readers. That's the kind of ship Aaron captains better than anyone I can imagine! 2) What are your own origins? AARON: Born in the wilds of the frozen north, my powers come from rage and the barren cold. In all seriousness, I started my 'internet journalism' hobby at The Daily BLAM! and got a hankering for this whole 'writing on the internet' deal. 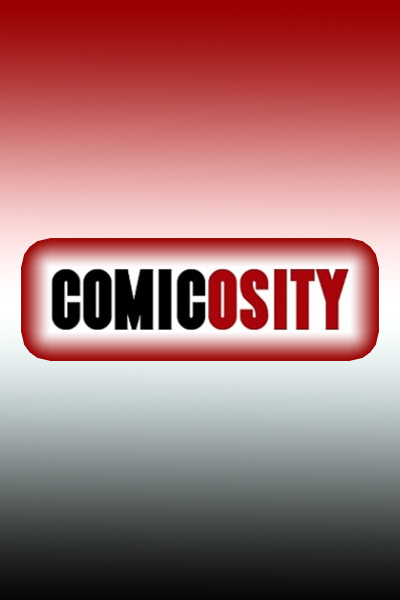 After working there, I decided to start up my own site, and Comicosity was born. MATT: Most of my career has been spent as a graphic designer / art director, and it's only been a recent development that I jumped into writing. I hadn't done much since grad school, but I work with an amazing group of editors in my day life, and they've really inspired (and schooled) me in that regard. After 30 years of collecting comics, writing about them was the totally natural next step! 3) What was the first comic book you ever read? And what’s your own opinions on today's comic book marketplace? AARON: My comic reading started a long time ago, so I can't really remember what the first comic was. I think the current marketplace is vibrant and awesome to be a reader in. The Big Two are publishing fantastic content and the caliber of the independent titles is absolutely stellar. Numbers are getting stronger, digital is expanding availability and opportunities, and new creators are coming out of the woodwork with really interesting ideas. 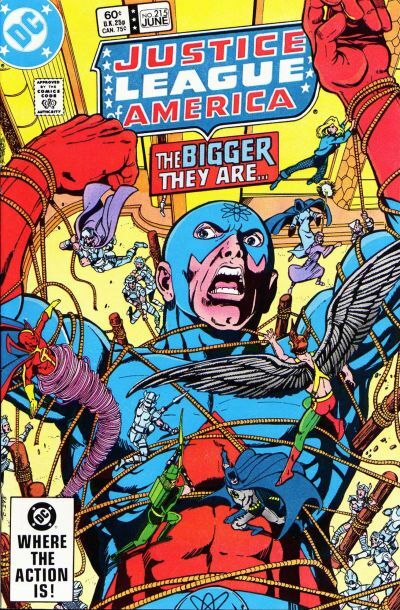 MATT: Justice League of America #215, the third part of a four part story featuring the team rescuing the Atom from a Microcosm world. I got it from my uncle for my 8th birthday, and years later finally had every issue of Justice League EVER in my collection. I think 2012 proved that bold moves can be rewarding, from DC and Marvel's line-wide relaunches to Image Comics' rapid expansion into one of the most creative publishing houses around. Same day digital didn't end up being the death knell for print and local comic shops that so many pundits had predicted; quite the opposite was true, in fact. We have a stronger marketplace that still recognizes it can't rest on its laurels. What better scenario can there be for readers? MATT: Wow. Some would call me tone deaf, so I'm not sure I'm the best judge. We're young, growing, and having a bunch of fun. I'm going to date myself here, but maybe "Just a Girl" by No Doubt or "Laura" by the Scissor Sisters. 5) Has your site received any praise by the media or other noted sources? AARON: We're getting on the map, more and more sites are becoming aware of Comicosity. One of the coolest shout-outs we received was a mention by Dan DiDio and Jim Lee in an MTV Geek video referencing our New 52 timeline project. MATT: Our goal is slow, steady growth. We're doing it for the love of the medium and have been really welcomed with open arms by readers and the creators and publishing companies. 6) What is the one thing that makes your site stand out compared to other comic book sites? AARON: I think it has to be the special features we run and the content generated by our contributors. Our people are unique and fantastic, and I'm proud that no other site has them! I'm an orange lantern when it comes to our people: mine! MATT: I hope the camaraderie our staff shares comes across to the public, whether in our weekly writing, the We Talk Comics podcast, or our social media interactions. No one has as much fun as us, and only a few work nearly as hard! 7) I know that this is a difficult question to answer, but what is your most favorite creative team and story? AARON: All time? Ed Brubaker & Steve Epting on Captain America. MATT: As a team, it's hard to beat Keith Giffen, J.M. 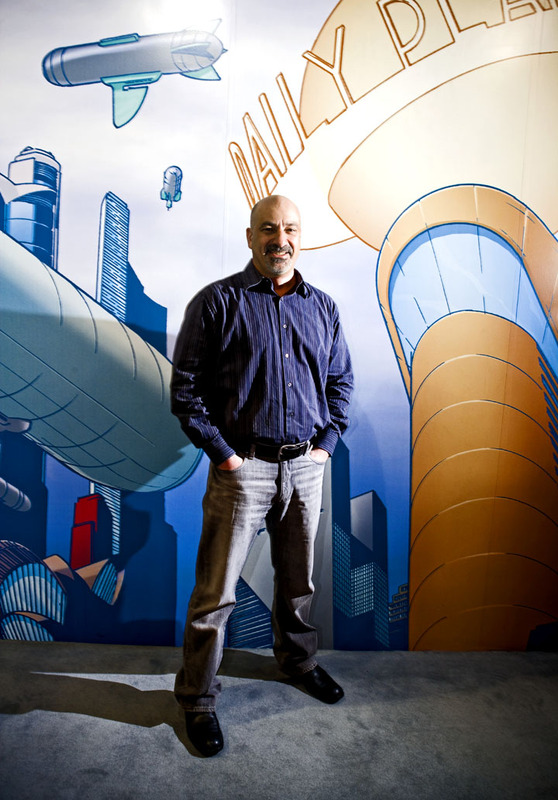 DeMatteis, and Kevin Maguire on Justice League. Lots of individual creators seem overwhelmingly brilliant to me, but that combination was just lightning in a bottle. 8) If you could get any celebrity – either living or dead – to promote your site, who would you get, and why would you choose this particular person? AARON: Metallica singer, James Hetfield, for one reason alone: to snarl out "Comicosity" in his signature growl. That would rule. MATT: Julie Newmar. I would do anything to get her to say our site is "purrrr-fect." 9) If you could sit all the big-wings from DC and Marvel down in one room together, and impart some advice onto their line of publications, what would you tell them and why? AARON: Here's the thing with the big-wigs: they know a hell of a lot more than I do. If I had one concern for each, though, I'd ask about Marvel's double-shipping as I think long term it will hurt their lower tier books and I'd ask DC about getting more new blood in the talent ranks (though Soule on Swamp Thing is a step in the right direction). MATT: Any time I've had the opportunity to meet the big men at the top, I've taken that chance to simply thank them for all their hard work. No one gets into this business unless they really-really love it and want to make good comics. I work in publishing myself, so I have a bit of perspective on the demands behind the scene. It's a thankless job, generally. But if asked, I'd encourage them to always try new things. Risk is scary, but the rewards can be great! Very nicely put, Aaron and Matt. What you had to say I liked a lot, and what I like a lot I encourage for all my dear readers to click upon. So go ahead. Click-Click. Pay a visit to www.comicosity.com today. Plus please don't forget to follow them on twitter too. Choo-Choo!